MINNEAPOLIS--(BUSINESS WIRE)--Oct. 6, 2016-- Piper Jaffray Companies (NYSE: PJC) today announced the appointment of Stuart C. Harvey, Jr. as president and chief operating officer of the company. Piper Jaffray names Stuart C. Harvey, Jr. President and COO (Photo: Piper Jaffray). In this role, Harvey will assume responsibility for leading the operations of the company’s global investment banking, institutional securities and asset management businesses. Harvey’s appointment will be effective November 7, when he will join the Piper Jaffray leadership team, reporting to Piper Jaffray chairman and CEO Andrew Duff. Harvey rejoined Piper Jaffray in August 2015 as a partner in its merchant banking group, having previously served as a managing director at Piper Jaffray in its investment banking group from 1993 to 2003. From 2003 to 2010, Harvey was with Elavon Global Acquiring Solutions, Inc., a subsidiary of U.S. Bancorp, becoming president in 2005 and CEO in 2008, where he had global responsibility for the business, including leading its international expansion efforts. In 2010, Harvey became the chairman, CEO, and president of Ceridian Corporation, a provider of human capital management software and services. In October 2013, he became the chairman and CEO of Comdata, Inc., a subsidiary that was split off by Ceridian that managed fleet and corporate card payments and services, while continuing to serve as executive chairman of Ceridian. 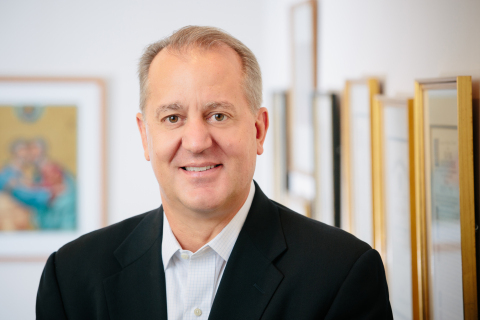 During his tenure at Ceridian, Harvey was responsible for driving significant improvements in the company’s performance through the development of advanced service offerings and increased operating and sales efficiency. He directed Ceridian’s acquisition of Dayforce Corp. in 2012, and the sale of Comdata, Inc. to Fleetcor Technologies, Inc. for $3.45 billion in 2014. "As we look to continue our multi-year effort to transform and drive performance across all of our businesses, the timing is right for Stuart to step into this role. Stuart has a breadth of experience leading and building successful companies. That experience, combined with his deep knowledge of and passion for our industry and Piper Jaffray, make him an ideal choice to serve as president and COO," said Duff. "I am honored to be named president and COO of Piper Jaffray. We are a dynamic firm filled with incredibly talented, dedicated professionals, with a 121-year history of providing first-in-class service and advice to our clients. I am eager to have the opportunity to contribute to the significant momentum that we’ve been building over the past several years," said Harvey. Harvey holds a bachelor's degree from Saint John's University, a Juris doctorate from The George Washington University Law School and a Master of Business Administration degree from the Kellogg School of Management at Northwestern University. He also serves on the board of directors of Trustwave Holdings, Inc. and the board of trustees of Saint John's University.